Everyone wishes to win a golden ticket one day and suddenly find himself rich. Well, that doesn't happen by itself, you have to play to win! Golden Ticket Slot is a game powered by Play'n GO that might just give you this. It doesn't have the traditional 5x3-reels look of other slots online and instead reminds of an arcade game, which is a nice change. 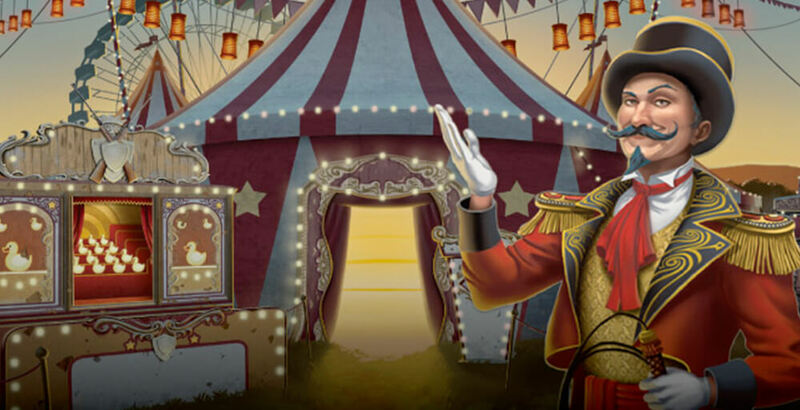 A ringmaster welcomes you into the circus-themed slot and then watches from the side of the reels. The graphics are all red and golden with fairy lights to look like a circus tent and you can hear voices and bells in the background. The Golden Ticket slot has simple rules. You have to get a combination of at least three symbols on the reels to get a win. 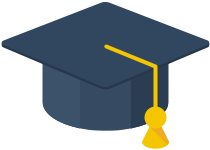 Symbols include top hats, iron weights, the ringmaster, a strongman, juggling skittles and a clown. Coins sizes range from 0.2 to 40 and there are no adjustable paylines, so you can only decide on the amount to bet per spin. Because of this, the paytable looks a bit different than other slots and gives you the amount of money you get depending on the bet selected on the scoreboard, instead of giving you a multiplier. So for a 0.2 bet, payouts range from 0.5x to 5x for five of them on the reels, while a bet of 40 will give you payouts from 100 to 1000. The Wild is the Golden Ticket and can substitute for all other symbols. 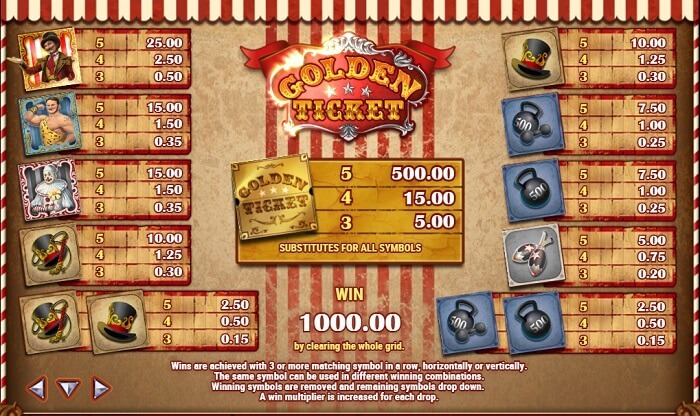 This Golden Ticket slot also has cascading symbols and a bonus game. With an RTP of 96.73%, there is no reason not to give it a try, whether from the comfort of your home or on the go on your mobile. 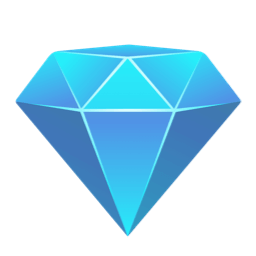 The free spins can be awarded during the bonus game. When you unlock it, it starts a mini-game with a shooting range. You have to get at least 5 matching star symbols anywhere on the range to be rewarded with up to 20 free spins. Golden Ticket has cascading symbols to get vertical wins as well as horizontal. 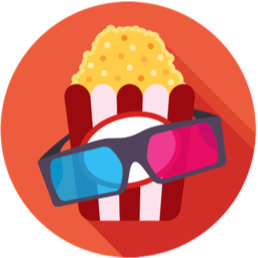 With a minimum of three matching symbols, a gold ticket symbol will appear on the reels to replace one of them. The other two will disappear and be replaced by the ones above, if any, increasing your chances to make a win without a re-spin, and adding a multiplier. Furthermore, you will see the letters of the word "bonus" appearing behind the reels every time you spin. If an entire reel is cleared with the cascading process, the word can be read vertically, which will activate the bonus game. 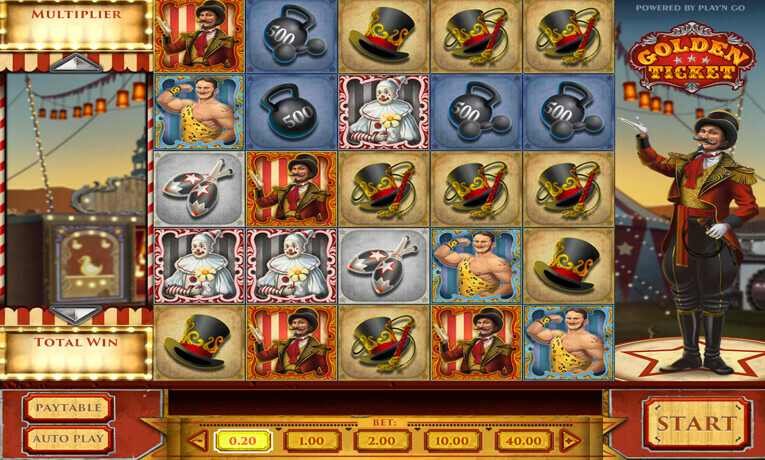 The jackpot can only be obtained by clearing the whole grid with vertical wins. With a bet amount of 0.2, that's only 200 coins, but that jackpot can increase to 40 000 coins with a 40 bet. Otherwise, the highest prize you can obtain without clearing the grid is 20 000 coins if you get 5 Golden Ticket symbols on the reels. 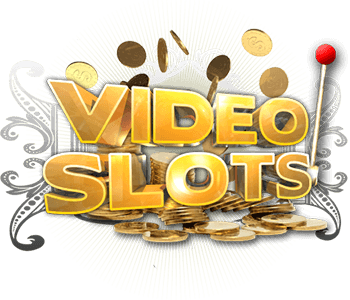 you will always have up-to-date information about online casinos and video slots. 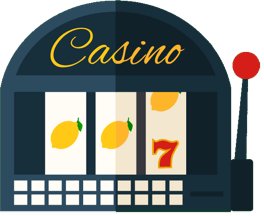 If mobile slots are more your thing, we also compare the best casino games available on Android or iOS. 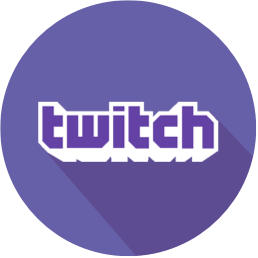 And if you are just getting started with online gaming and don't know what free spins, scatters and wilds are, we got you covered too with our game guides.